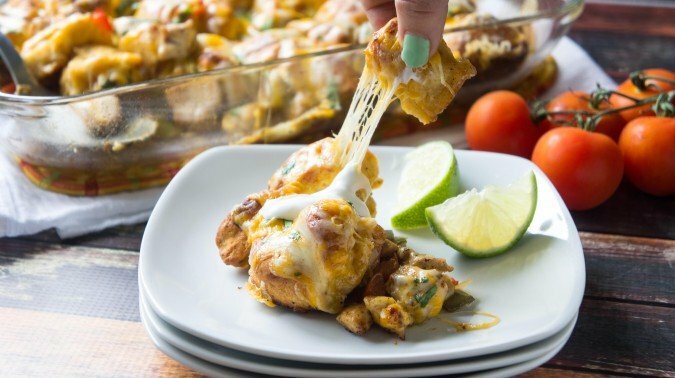 Chicken Fajita Bubble Bake is a delicious weeknight dinner that’s filled with loads of flavor and made in a hurry! 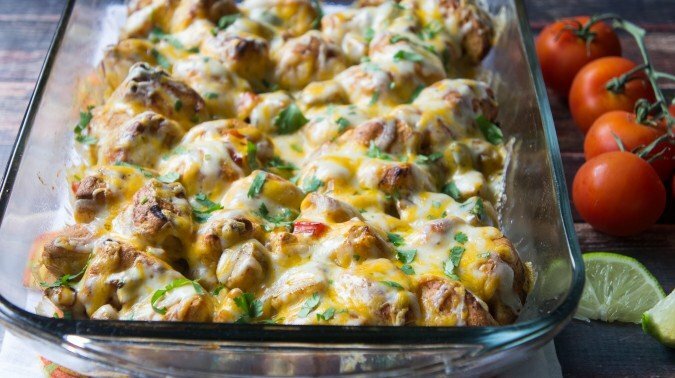 Chicken Fajita Bubble Bake is tender pieces of chicken mingled with fluffy biscuits, peppers and onions in fajita seasonings. 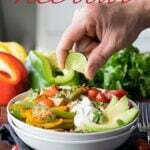 It’s everything you love about fajitas made into an easy casserole style dinner! Sometimes I feel like a broken record when I say that I love simple and easy dinners. 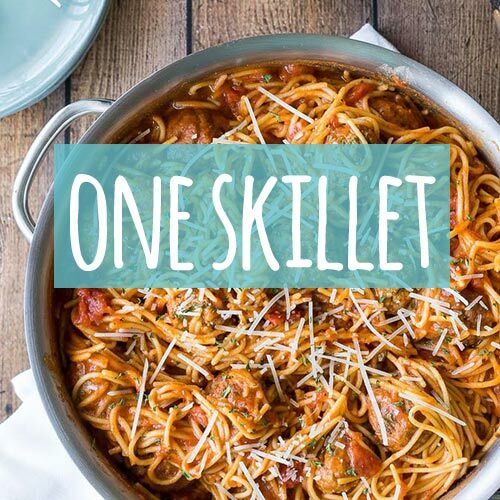 Who doesn’t love a good, hearty dinner that’s quick to prepare and tasty beyond words? 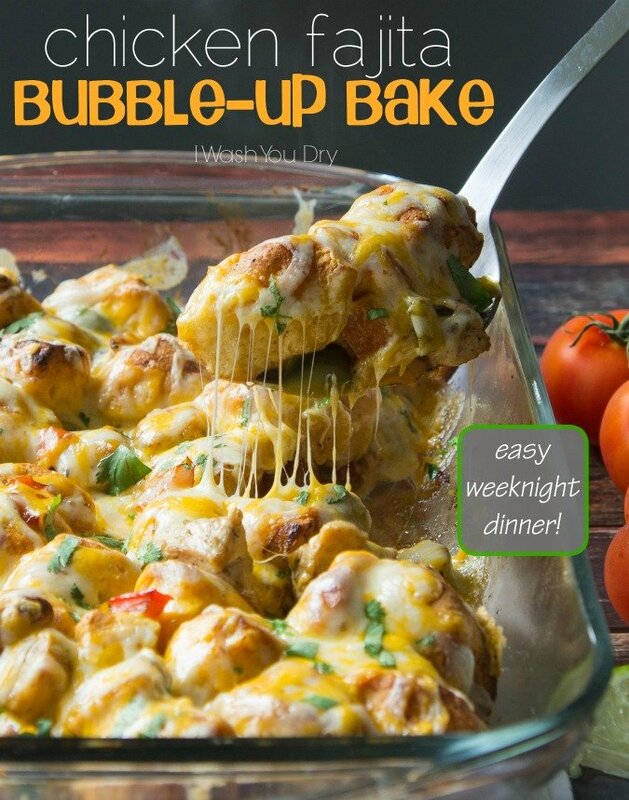 You may be familiar with the traditional Bubble Up Pizza, where Pillsbury biscuits are used as a crust under layers of sauce, cheese and toppings? 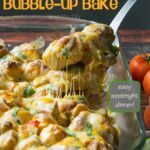 Well, I took that classic and switched it up a bit and gave it a little southwestern flair when I made this Chicken Fajita Bubble – Up Bake! Look at that cheese action! This recipe is super cool in the fact that the biscuits are actually coated in a fajita seasoning, giving the dish so much more flavor than you would expect. 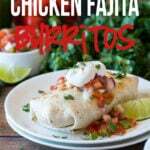 There are even fajita peppers and onions mixed in with some tender chicken pieces. Basically it’s a complete dinner that the whole family will love. My whole family just devoured this tasty recipe. I loved adding little extras like sour cream, chopped cilantro and diced tomatoes, but those are optional toppings. The recipe by itself is divine. You know you want a bite of that!! Return same skillet to medium heat. Add oil and chicken; cook on each side until browned and no longer pink in center. 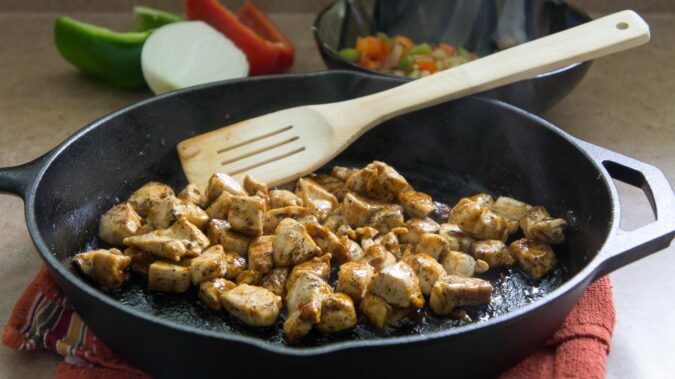 Sprinkle remaining fajita seasoning mix over chicken. Add 2 tbsp water; cook and stir until sauce thickens. Return peppers and onion to skillet; stir to coat. Bake 20 minutes or until biscuit pieces are thoroughly baked and light golden brown. Sprinkle cheese over top; bake 5 minutes longer or until cheese is melted. Enjoy! 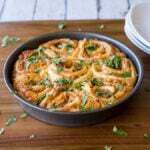 This is another one of the 7 ingredient recipes that I’ve created for Pillsbury. 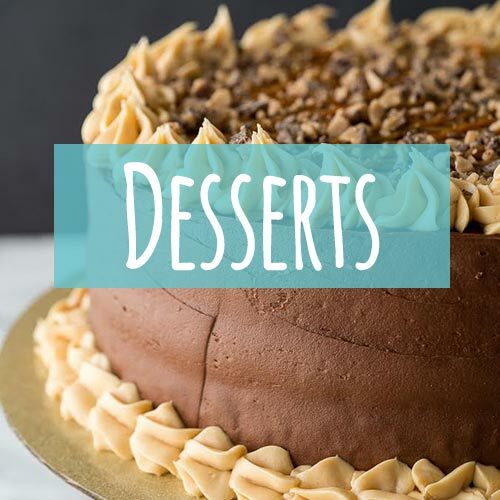 You can find the step by step photos HERE, or just skip straight to the full recipe HERE. Just curious – have you ever made this ahead of time (maybe night before), refrigerated and then cooked the following night for dinner? Need make ahead dinners that hubby can just pop in the oven while I am on my home from work. THANKS! I haven’t done that with this dish, but what you could do is prep the chicken and veggies ahead of time, then assemble the biscuits right before baking? I was really looking forward to this when I found it on pinterest, but it’s not exactly healthy. 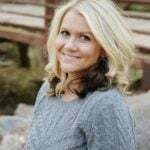 Does Pillsbury make whole wheat biscuits? I would love to try this with some alterations! Then make something else that is healthy. Hi, I made this last night and WOW was it good….. My husband is celiac so I made my own biscuits and I added sharp cheddar cheese. It made two meal’s for us. Ooh who doesn’t love an easy bake?! Love this idea Shawn!